An online community to discuss anything Chicken and Poultry! A place to discuss or ask questions about specific breeds! Also contains a list of what breeds our members are currently breeding. I have had 3 Orpington roosters which had gold lacing on their chests in the last couple of years, bred from a buff hen and my blue roo I was told. I was always hoping for a pullet like that. In the next season of chicks just gone I have been lucky enough to get this I think. She is 4.5 months old and is getting more patterned as she grows. Isn't she pretty? I am hoping she will be fully patterned/laced when she is grown. And no, I don't have any other breed of chickens that might have intermingled! Very nice! 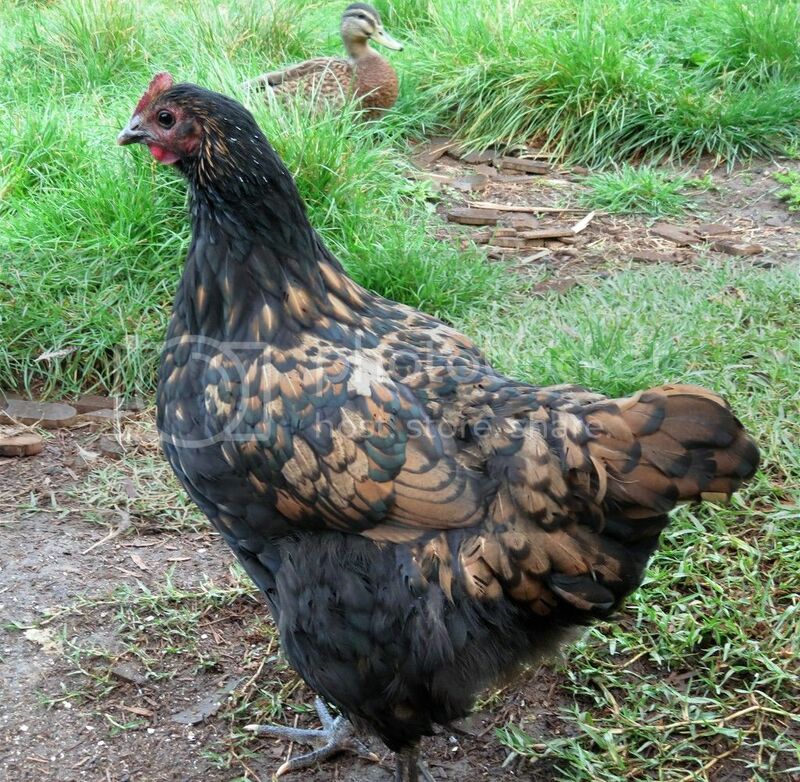 The lacing could very well come from the Blue Orpington as good examples have black lacing. She's pretty! You haven't, by chance, kept any roos that you could pair her with...? Seventeen beautiful chooks in a rainbow of breeds and Silver Appleyard ducks! No I have sold all the 3 roos that had the lacing on their chests. But there is a young boy from the same batch of eggs that is developing more colours so I'll see how he turns out!